They’re pouring the concrete for the second floor! They actually finished one section today. It looks nice. As a professional concrete-pouring-consultant, I say they did a good job. I THINK they made a mistake earlier, however. 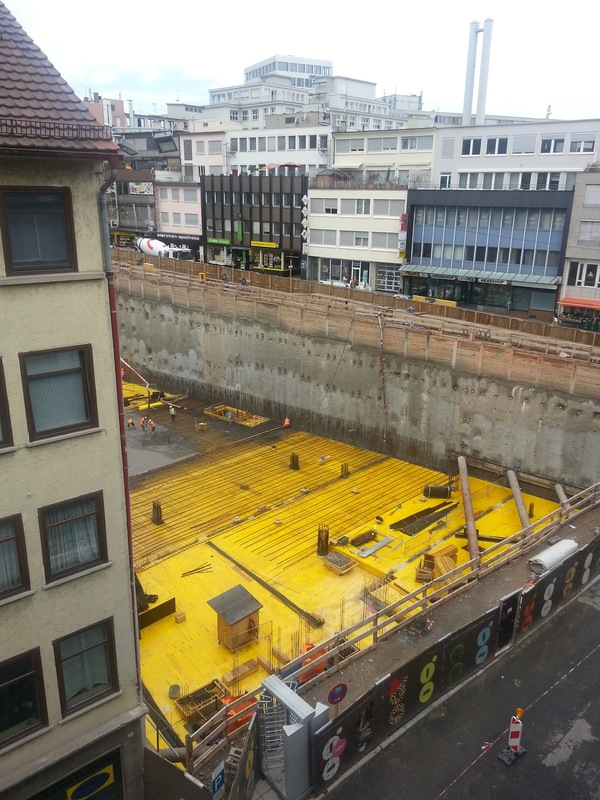 There’s a section of wall that was poured a few days ago, and as soon as they built up the yellow floor, they seemed to realize their mistake. They spent yesterday jack-hammering the section down, and re-laying the rebar. Nobody’s perfect.